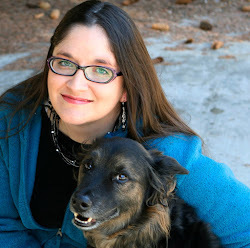 I always love getting snapshots from my clients featuring their pet and their new DawgArt portrait. Here's one that I got this past weekend. This is Macie and she lives in New York. Check out that smile! 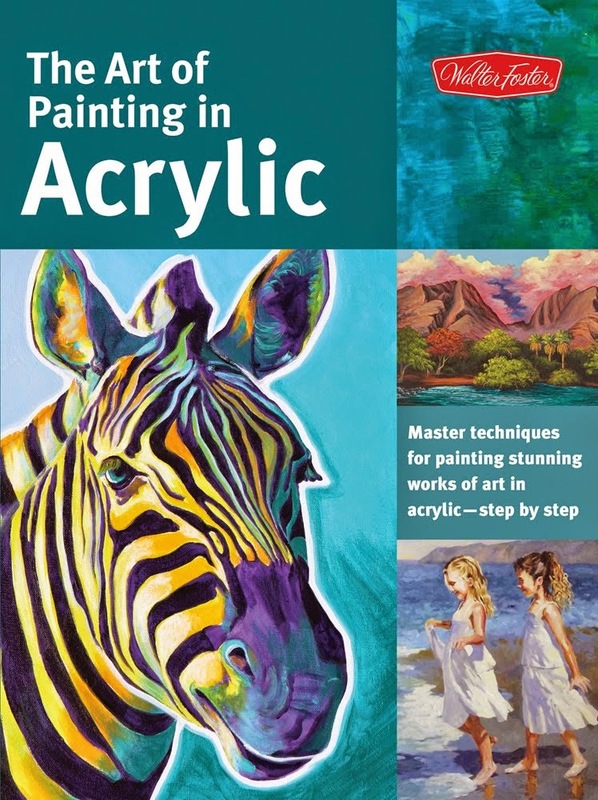 To find out how to order your custom painting, click here! THE DAWGART SALE ENDS TOMORROW! CLICK HERE FOR DETAILS! So whenever I get photos from clients, customers, or people who happen upon DawgArt out in the world, I always get a little tickled. Today, I got a link from VCA Alaska Pet Care Animal Hospital to an awesome video. Awesome for two reasons. The first is that you can learn some valuable information about CPR for pets. Awesome also because you can see DawgArt on the walls! Thanks for the link guys! Looking for the perfect last-minute Mother's Day gift? Now, for one week only, you can get 15% off custom gift certificates in the DawgArt Etsy shop! Just use coupon code: WELOVEMOM15 when you check out. Click here to go shopping. Betcha didn't know DawgArt offers gift certificates. Visit the Etsy shop, choose the size of canvas you want for your favorite gal, add your custom message in the transaction notes, and don't forget to use the coupon code. 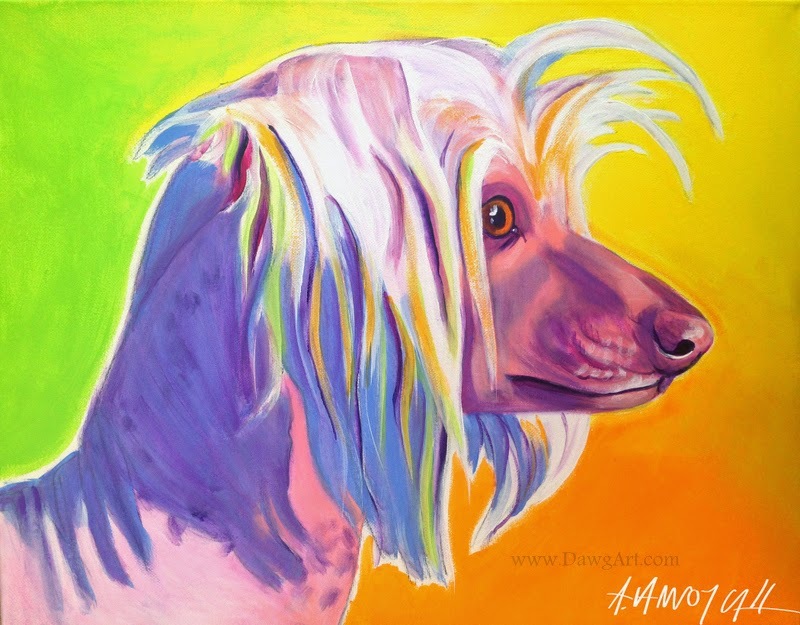 You will get a customized gift certificate for a custom pet portrait emailed directly to your inbox. Print it out and you're good to go! Your favorite mom can follow the instructions on the gift certificate at her convenience and be involved in the fun and exciting commission process. 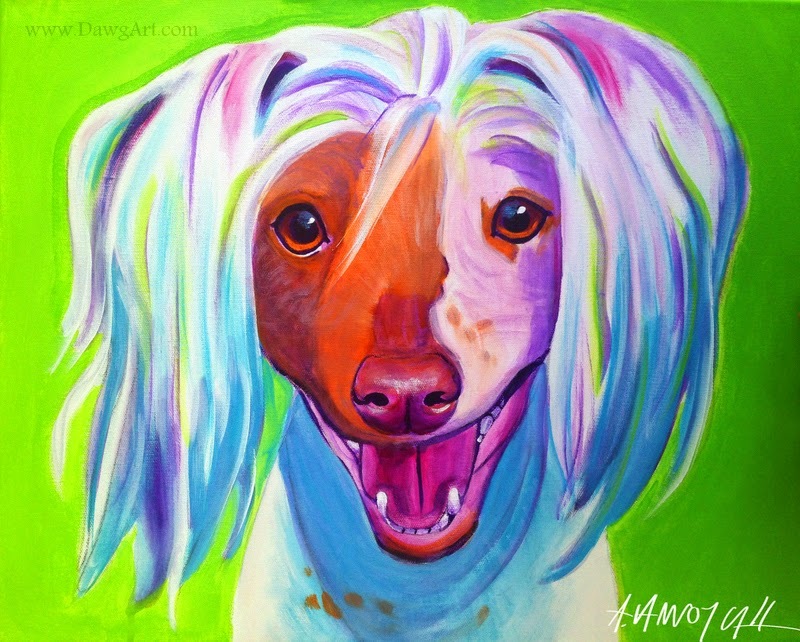 Her favorite pet will be immortalized on canvas, and you'll go down in history with the best Mother's Day gift. Ever. With only a few days left until Mother's Day, this is the perfect last-minute gift for your favorite animal-loving mom/grandma/aunt/wife/sister/daughter. 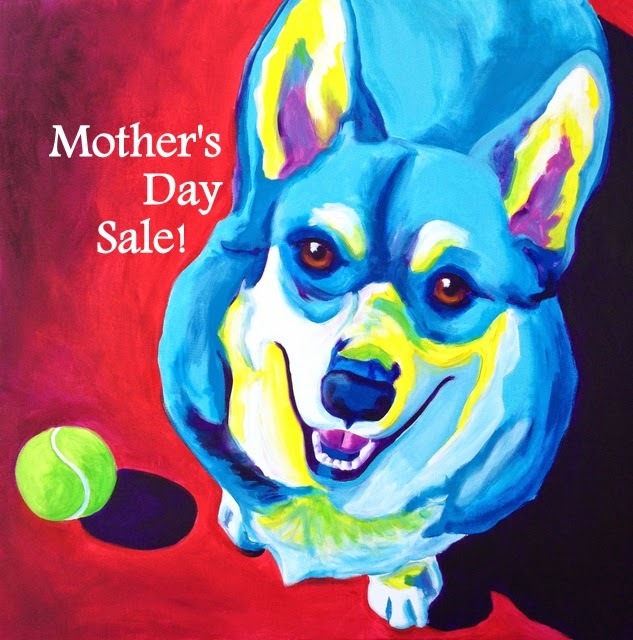 Just use coupon code: WELOVEMOM15 in the DawgArt Etsy shop when you check out! 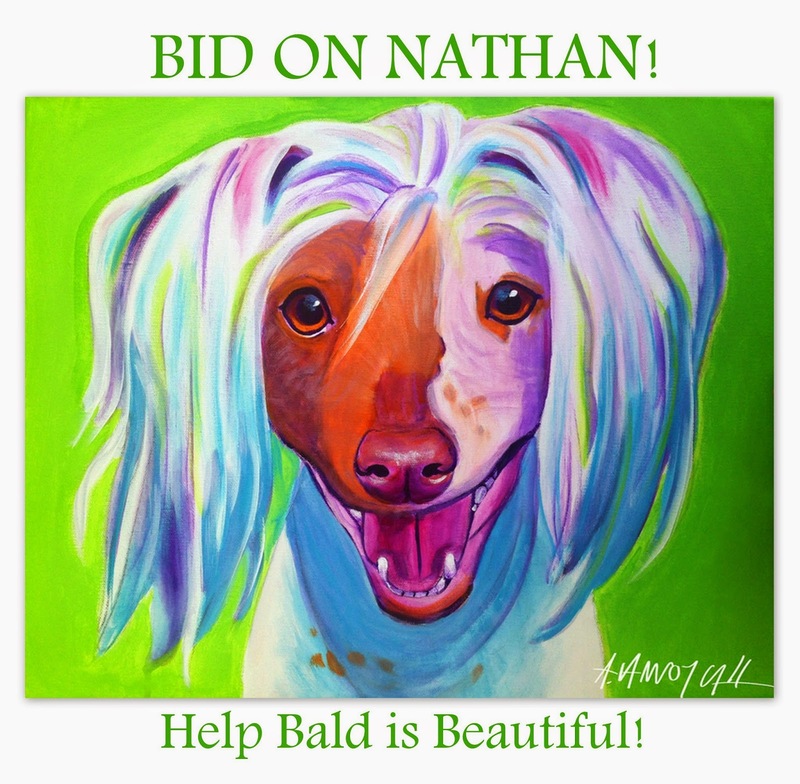 Bidding is Open on Dancing Nathan's Portraits! The bidding has opened on Dancing Nathan's DawgArt portraits! Read about the fundraiser here. Scroll down for auction links. Each painting is 16x20 inches, acrylic on canvas, and will come wired on the back and ready to hang. Proceeds will go to Bald is Beautiful Dog Rescue to help homeless animals. Spread the word and have fun bidding.